I actually think this is good news. 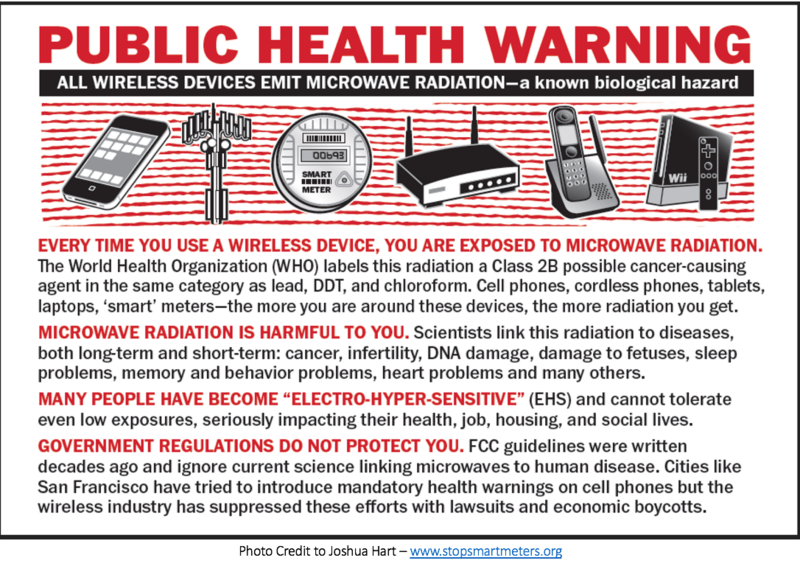 Perhaps we can all visualize the entire wireless industry collapsing into oblivion and those responsible for bringing forth this evil frequency/radiation assault against Creation be returned to the pit for eternity, with no possibility of return. “Michael G. Wildstein,” portfolio manager of the Delaware Corporate Bond fund, is mentioned in the article below and is clearly one of the creatures that should be held both accountable and liable for the massive radiation poisoning of our world. He is one of MANY in a line-up of corporate and financial traitors that need to be held accountable. Once we make up our minds that we do not consent to them harming us and our world, and once we have determined that we are not even willing to co-exist with these creatures anymore, then the spiritual weight of what these monsters have done will come down on them. And it’s about time. Telecom debt also is worth watching. Citing increased price competition, Moody’s has a negative outlook on the entire sector. Bill Wolfe, Moody’s senior vice president, said the industry was rife with “large companies with a lot of debt,” including Frontier Communications, CenturyLink and Sprint. Verizon Communications also carries a large debt load, but it may be something of a special case. “They’re an extremely large issuer,” Mr. Wildstein said. One important positive for Verizon, Mr. Wolfe said, is that it has “the premier wireless network.” But the cost of upgrading that network may also be a Verizon vulnerability. The company is moving aggressively to put in place 5G technology, which uses higher frequencies to speed wireless transmission. But 5G is expensive to install, and it faces widespread opposition in many municipalities and from some scientists, who say it entails health risks. and he says the company may be overly dependent on its wireless network. It needs to diversify by acquiring a cable provider or media company, he said. 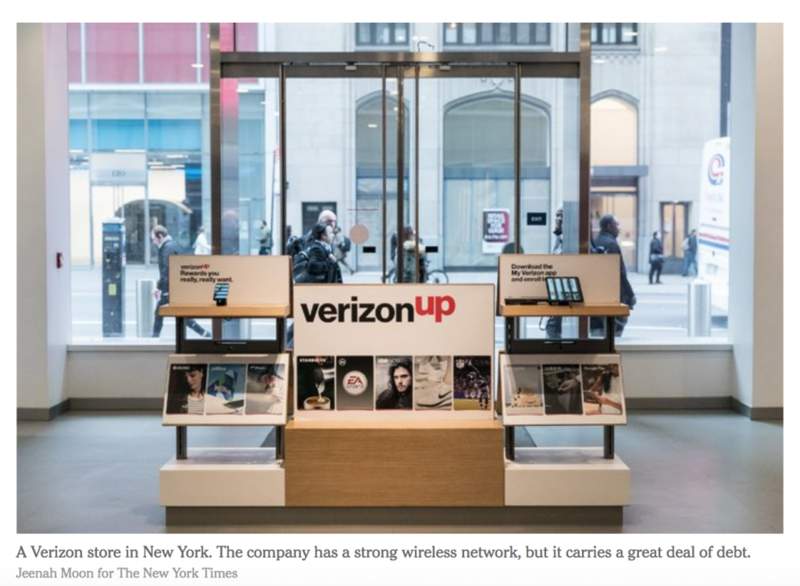 Verizon lists its total debt as $117.1 billion. “We want to strengthen the balance sheet,” Matthew D. Ellis, the company’s chief financial officer, said on a Jan. 23 earnings call. “You should expect us to deleverage from where we are today,” he added. Outside these industries, debt is high for much of corporate America but probably manageable, several analysts said. “The leverage is elevated — companies are borrowing more,” said Mr. Wolfe of Moody’s. But since they are borrowing at historically low rates, their repayment abilities have not been measurably affected, he noted. Among investment-grade companies, the ratio of earnings before interest, tax, depreciation and amortization, or Ebitda, to interest expense has inched up to 9.9 in the 12 months through Sept. 30, 2017, from 9.7 in 2010. Companies with speculative-grade — also known as high-yield — debt have also seen their Ebitda-to-interest expense ratios improve a bit, Moody’s reports. The broad outlook for corporate bonds isn’t entirely rosy. Interest rates have been rising, and S.&P. estimates that more than $4 trillion in corporate debt will have to be refinanced — presumably at even higher interest rates — by the end of 2022. But S.& P. doesn’t expect this refinancing to cause undue problems.